Why KAZ’s Neurodiverse Typing Software impressed the judges at the BETT Awards 2019, in regard to meeting the challenges faced by individuals with dyslexia. 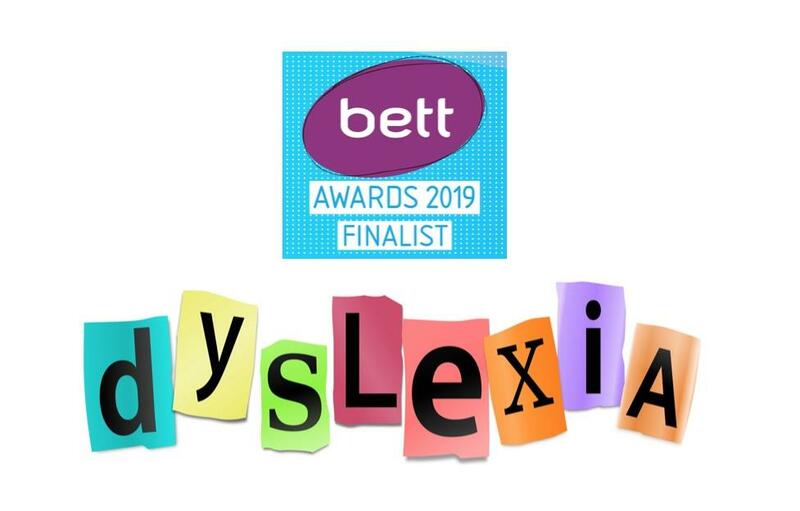 KAZ’s Neurodiverse Typing Software was developed with advice and guidance from the Dyslexia Research Trust and was shortlisted as BETT Awards 2019 Finalist for the Special Educational Needs Solutions Sector. The aim of the award was to reward products that made a distinct contribution to supporting learners with special educational needs. The edition is suitable for individuals with one or a combination of the following neurological differences: Dyslexia, Dyspraxia, ADHD, ASD, Tourette’s, amongst others. KAZ’s unique preference screen helps address visual disturbances by offering the user a selection of preferences to choose from. Once chosen, their preferences are ‘saved’ and applied throughout the course tailor making it to each individual for optimum visibility comfort. KAZ’s multi-sensory ‘accelerated learning’ teaching method, enables students to learn using more than one sense (sight, sound and touch). With this method, information is more likely to be remembered and retained. Students can hone in on their most comfortable and preferred style of learning (visual, auditory or tactile pathways). If the teaching method closely matches the student’s preferred way of learning, learning becomes more natural, making learning easier and in turn faster ‘accelerated learning’. With KAZ’s unique accelerated learning teaching method incorporating ‘muscle memory’, spelling and vocabulary are engrained to memory, as spellings become a series of finger movements and patterns on a keyboard, dramatically reducing the likelihood of transposing and misspelling words. Additionally, the program uses only ‘real words’ and repetition of typing these words helps train students to recognise them by sight, saving the decoding process that often causes trouble when reading. Spell checkers also highlight mistakes and offer alternatives. Poor and messy handwriting – (this can lead to embarrassment, frustration and anxiety). Teaching typing skills eliminates the need for neat handwriting, as touch typing automatizes the translation of thoughts and ideas into written language. Additionally, errors can be easily edited without messy crossings out, resulting in neat and presentable work automatically boosting confidence and self-esteem. Slow work rate – (due to poor penmanship). Quick and accurate typing can reduce the amount of time spent on a piece of work, and often increases the amount of work produced. Additionally, when typing efficiently, without even thinking about it (subconsciously) the individual’s ‘conscious’ mind can concentrate on the question at hand, concentrate on creative writing but most importantly, type quickly enough to finish their paper. The KAZ course is presented in a structured and light hearted manner and has been designed NOT to overload the working memory. The program is broken down into short modules in order to hold focus and concentration and allows the student to work at their own pace. Additionally, they are allowed to return to previous modules at any time should they wish to refresh. Working at a computer allows students to work in a non-linear fashion, where they can process their thoughts first and structure them later. KAZ were thrilled to be shortlisted as a finalist, as the recognition of the product from such a recognised organisation within the education sector and the publicity has greatly helped with the awareness of the product which is now helping the masses, who continually send them testimonials on how their software has helped them. We loved the ability to customize your screen display to ensure you can read comfortably, and the typing and demo areas on the screen are clear and easy to use.